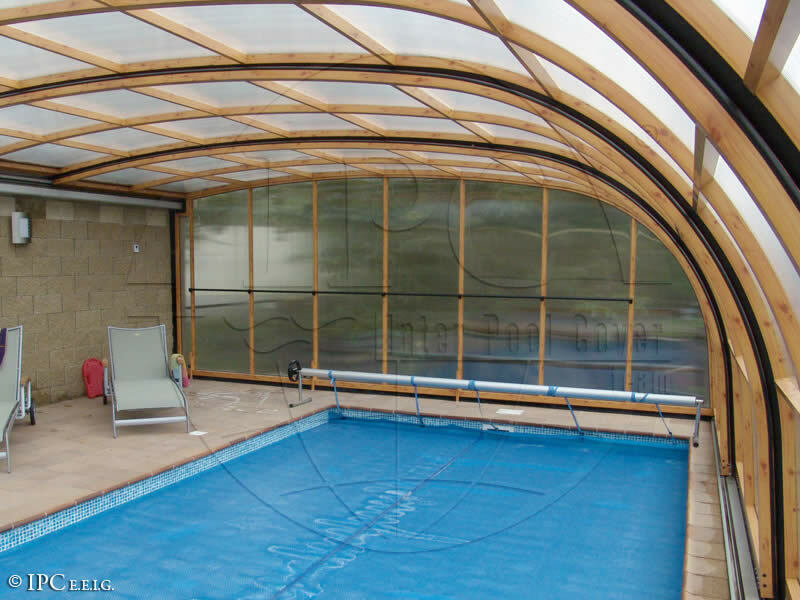 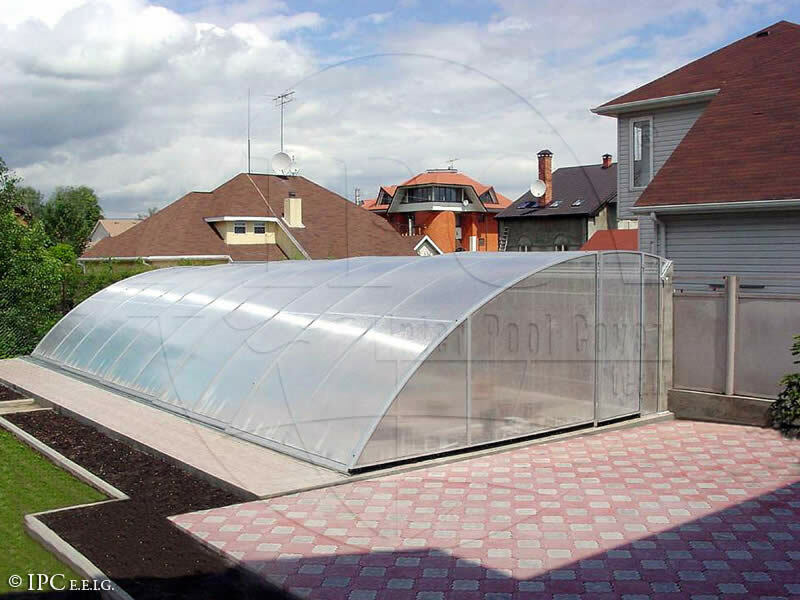 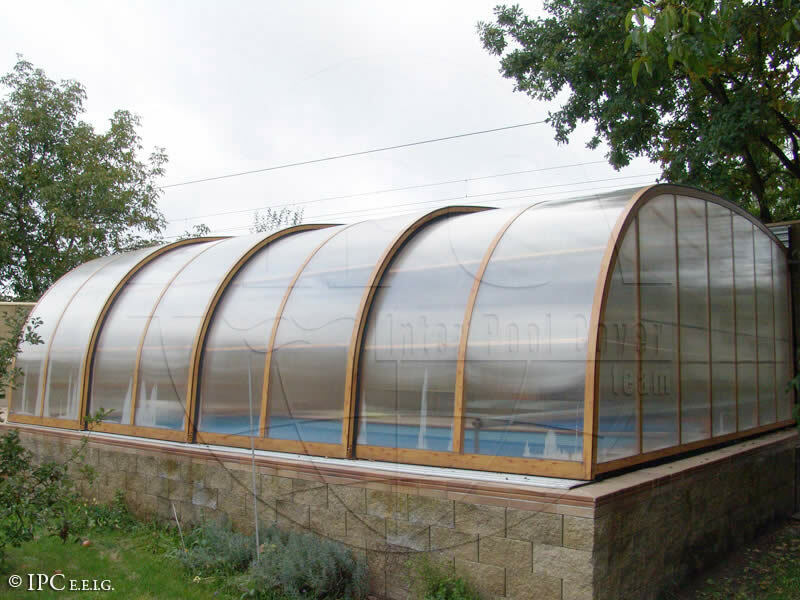 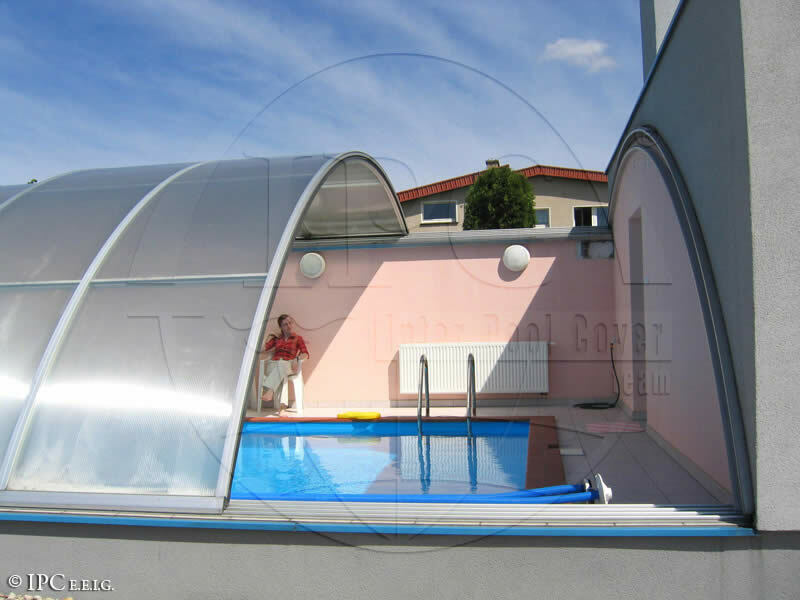 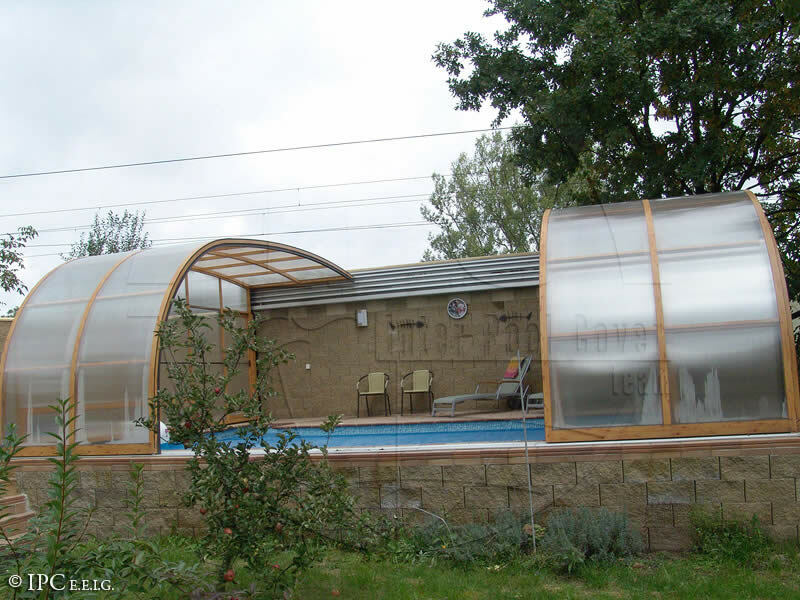 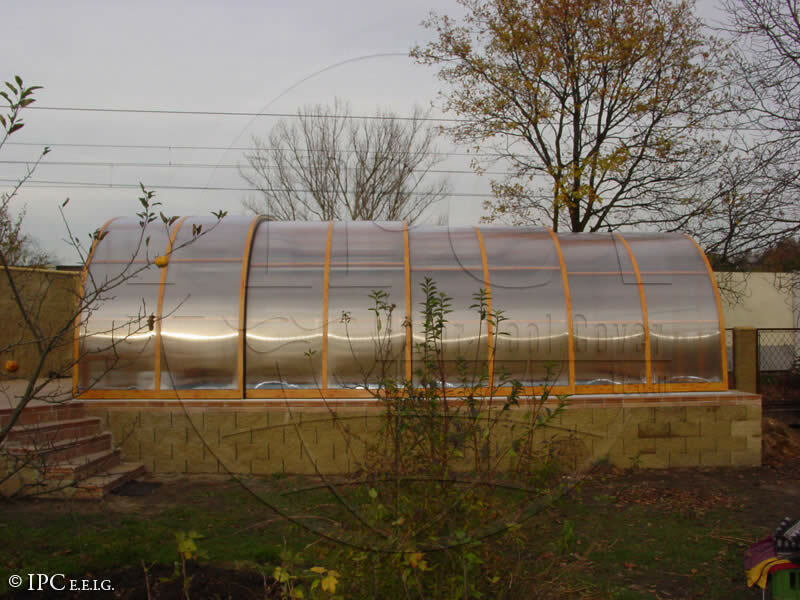 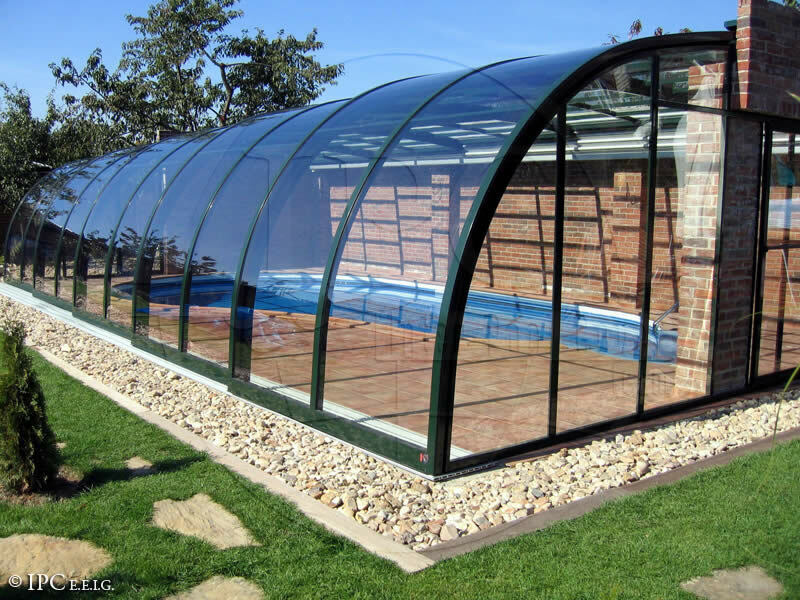 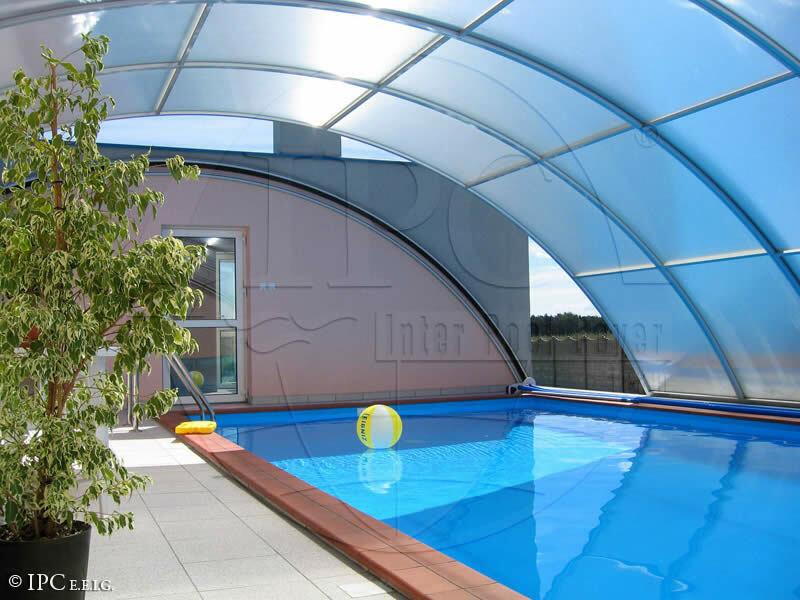 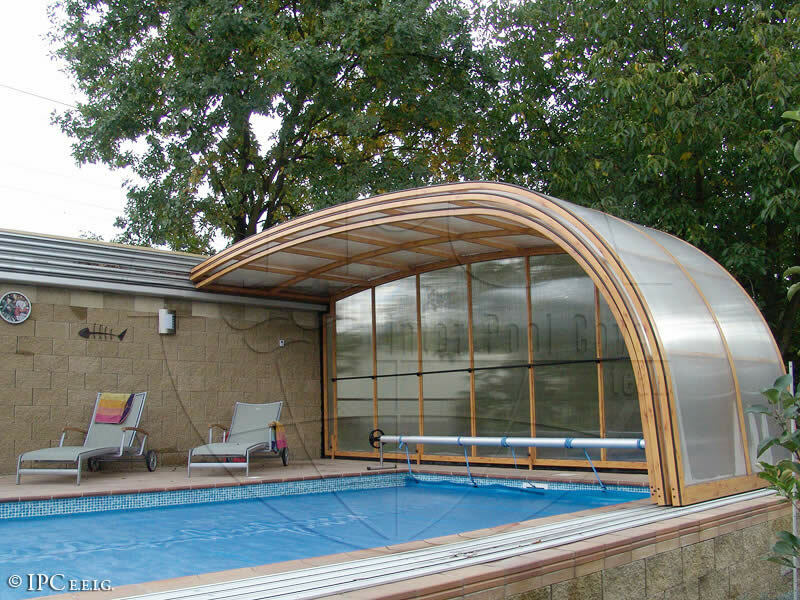 Constructions designed to cover a swimming pool situated close to a house or vertical wall. 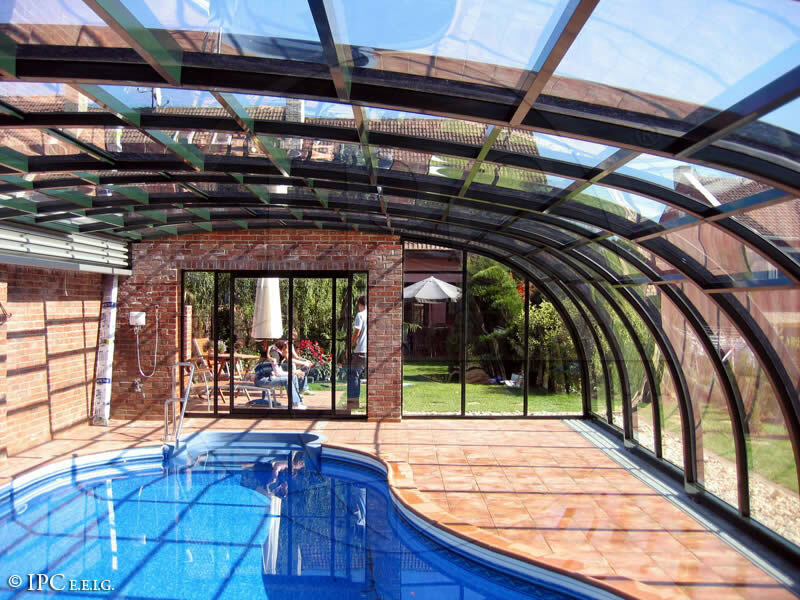 The upper guide rails are located on a low wall or on vertical or slightly inclined surfaces. 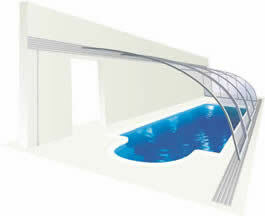 The lower rail is usually placed right at the edge of the pool. 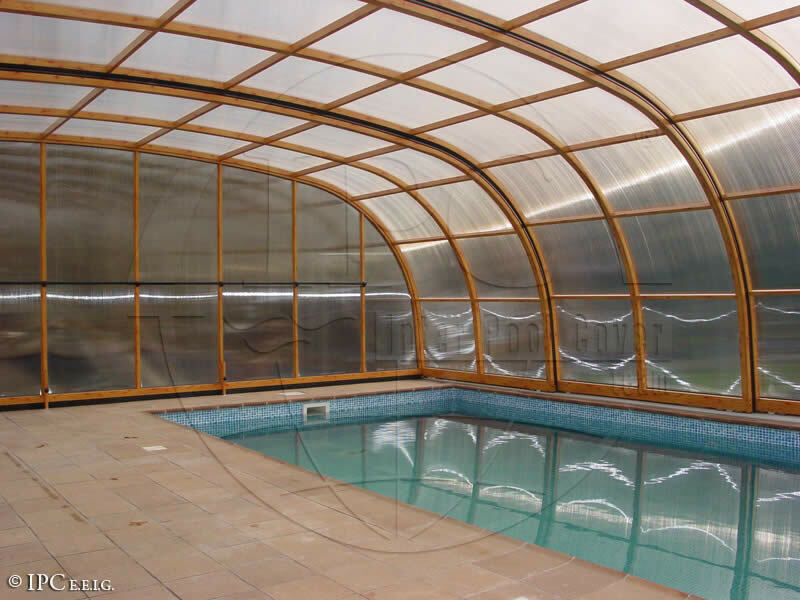 The pool and the space between it and the wall are well protected. 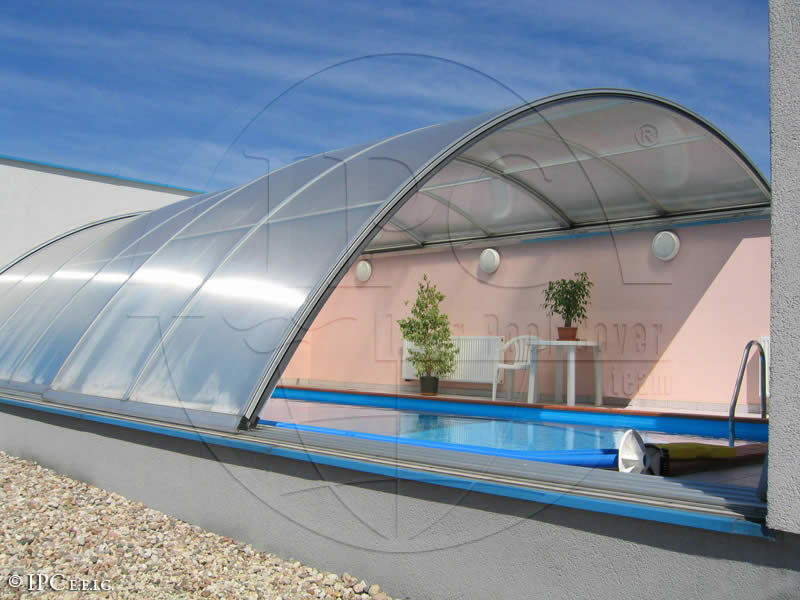 The segments can be moved to the right or to the left to expose the whole space to the open air.